As Apple’s anticipated HomePod smart speaker system goes on sale today in the United States, United Kingdom, and Australia, the Cupertino company has updated its HomePod support website with out-of-warranty service pricing for the speaker. According to Apple’s website, if a customer’s HomePod is under warranty, is covered by AppleCare+, or protected by consumer law, there is no charge to fix or replace the speaker. 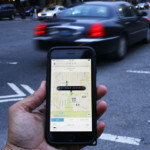 If the issue isn’t covered by any of the aforementioned cases, customers will have to pay an out-of-warranty service fee of $279 USD in the US, £268.44 in the United Kingdom, and $399 AUD in Australia. 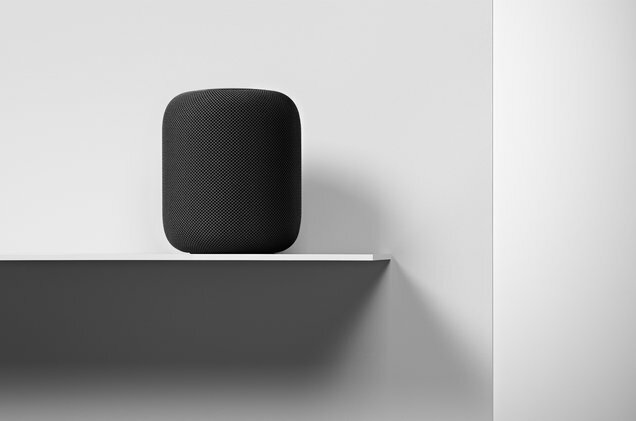 If a HomePod owner needs service on his or her speaker, an appointment can be made at any Apple Store or Apple Authorized Service Provider. If that isn’t possible for a customer, Apple can also send HomePod owners a box to ship their speakers to its repair center for an additional $19.95 USD, £13.44, and $29.95 AUD in the United States, United Kingdom, and Australia, respectively. 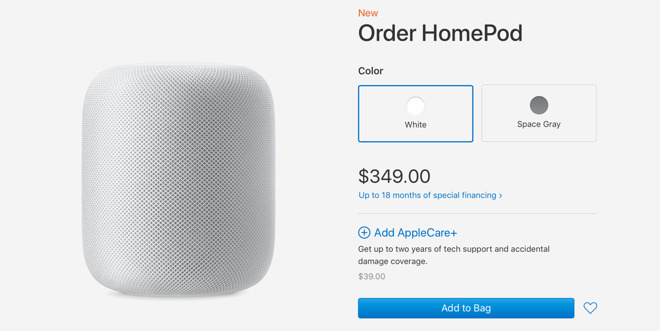 If one chooses to purchase AppleCare+ with his or her purchase of the smart speaker, it will run at $39 USD, extending the speaker’s coverage to two years from its original purchase date. AppleCare+ also adds up to two accidental damage incidents, each subject to another $39 USD service fee in the United States, £29 in the United Kingdom, and $55 AUD in Australia, plus the upfront cost of the plan. AppleCare+ also allows customers an express replacement service in which Apple completely replaces the speaker in advance of the return of the non-functional unit. According to the support page, the non-functional unit must be returned within 10 days to avoid any additional charges.